This Silver Ring 'Ruby' has a classy design with silver rope detailing around a teardrop Rainbow Moonstone. 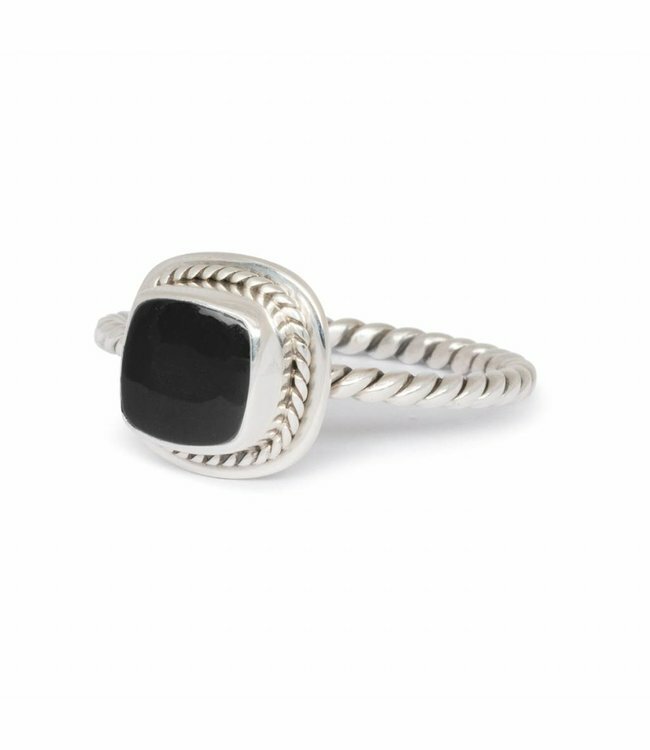 The ring is made from 925 sterling silver and has an adjustable size which fits most sizes. Read more.. This Silver Ring 'Ruby' has a classy design with silver rope detailing around a teardrop Rainbow Moonstone. It features Route508's signature style of hammered and detailed finishings. 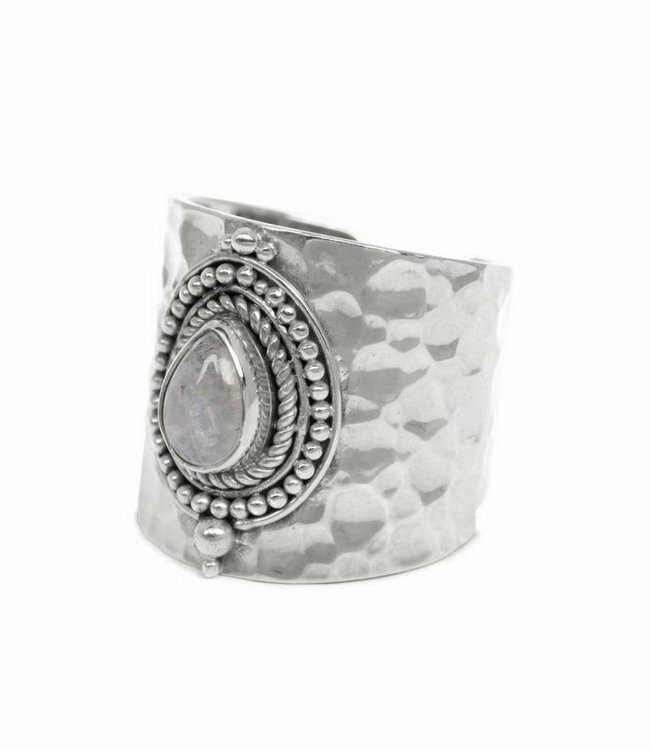 The ring is made of 925 sterling silver and is handcrafted and finished with hammered detailing. 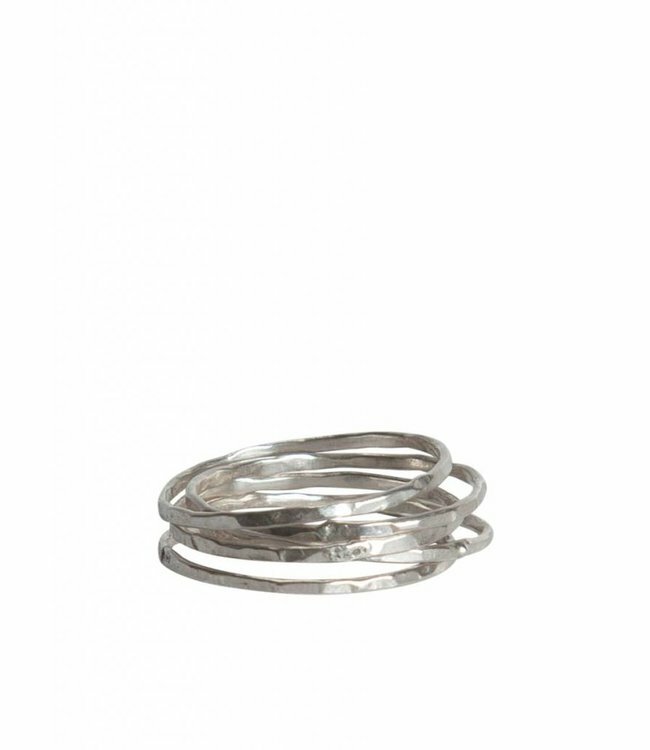 The ringband has a comfortable and adjustable size and fits most sizes from size 18. The natural gemstone we used for this ring is Rainbow Moonstone, which adds that tiny bit of mystery to your boho chic style. 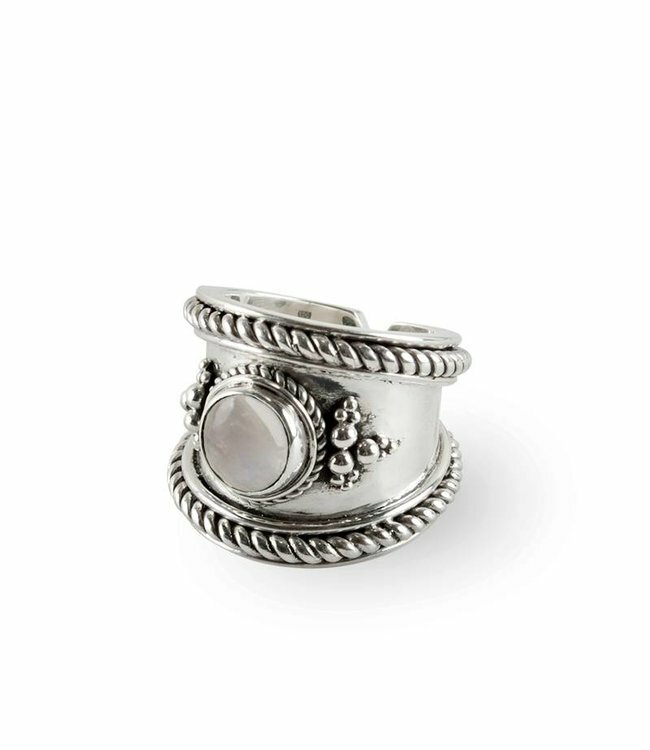 Get this Silver Moonstone Ring today before 17.00hr and it will be shipped on the same day.